Check out this amazing Mario print, made my Etsy seller Final Score. It measures 8 1/2 inches by 11 inches and features hundred of mini pictures of classic video games, controllers, screen shots and more to make up this amazing Mario print. You won’t see anything like this ANYWHERE. This pretty much covers the history of video games in one, unique, unbelievable art print. Please don’t fall for cheap imitations. 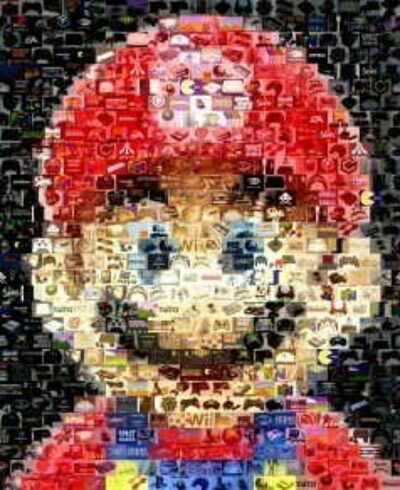 From a distance this looks like a picture of MARIO but look closer. Its actually mini-pictures that are 1/4 inch by 1/4 inch with remarkable detail (click on “close up” image). 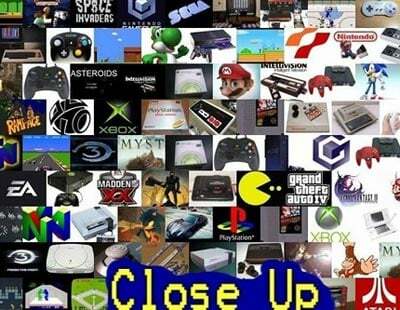 The mini-pictures are of everything video game related including historical systems, classic games, game makers, controllers, screenshots and more. I have gathered and arranged these very carefully myself. This is for the true collector. If you want one they are available to buy online for Final Score’s Etsy shop for $14.99 each.